Unlike most bean varieties, which come in earthy, neutral hues, red beans can add a bit of color to your cooking. Like all beans, they're a good source of potassium, a mineral that promotes healthy blood pressure. Red beans are used throughout the world in a variety of dishes. Red beans and rice is a common meal in the southeastern United States. This Creole-inspired dish features red beans simmered with bell peppers, onions, celery, and spices served over rice. Similar versions are found in Latin American cuisine. In Northern India, rajma chawal is made with red kidney beans, onion, tomato and a blend of spices, including ginger, garlic, coriander, cardamom, and cumin. 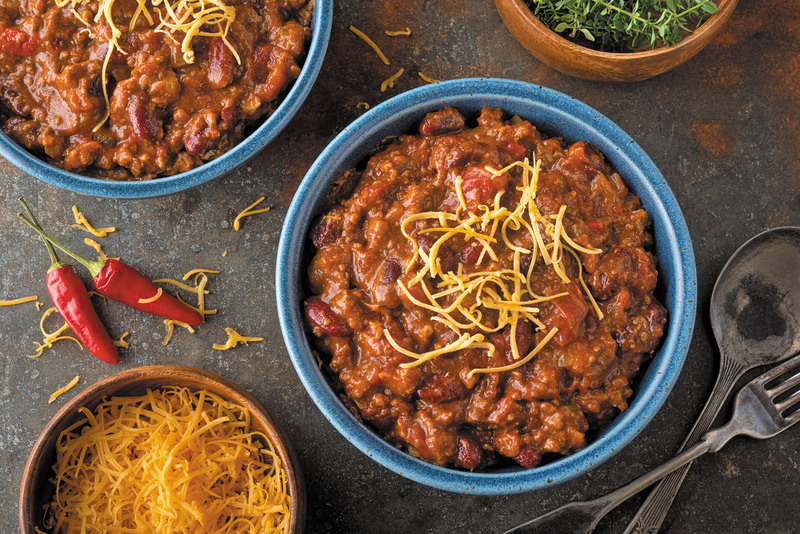 Chili recipes often include red kidney beans, and they are a key ingredient in three-bean salad, along with garbanzo beans and fresh green beans. But red beans aren't just for savory dishes. Many East Asian cultures use reddish-brown adzuki beans — which have a strong, nutty, sweet flavor — to make a sweet paste that's used in different confections. Yokan, a traditional Japanese sweet, consists of jellied red bean paste. In China, steamed buns filled with red bean paste are called dou sha bao; in Korea, they are known as jjinppang.